Encore Park’s Museum of Street Culture – a museum in the making for the last five years – is set to launch October 1, 2017, literally on the street with programming about the street. The groundbreaking museum concept founded by Dallas-based writer, photographer, and filmmaker Alan Govenar and designed in part by French museographer Adrien Gardère will open with a 12-month phased exhibition entitled Looking for Home: A Yearlong Focus on Mary Ellen Mark. The exhibition will present Mark’s work in an unprecedented, but mission-aligned fashion: the installation will be both outside on the street and inside some of the spaces the museum calls home: The Stewpot and Encore Park‘s 508 Park, 508 Amphitheater, and Community Garden. It is the first time the Mary Ellen Mark Foundation has granted permission for an exhibition of this magnitude. Mary Ellen Mark’s more than 30-year photo documentary captures the harsh realities of street life, from 1983 to 2014, of Erin Blackwell Charles, a.k.a. Tiny, in Seattle, WA. Tiny’s life as conveyed by Mark parallels and offers a poignant counterpoint to the ongoing efforts of Encore Park and The Stewpot of First Presbyterian Church of Dallas to offer homeless and at-risk individuals resources for basic survival and opportunities to start a new life. “The Museum of Street Culture selected the work of internationally-acclaimed photographer Mary Ellen Mark as its opening exhibition because it demonstrates artistic excellence and explores social issues crucial to the expansion of services offered by The Stewpot, and the revitalization of Encore Park and the surrounding neighborhood,” said Govenar. 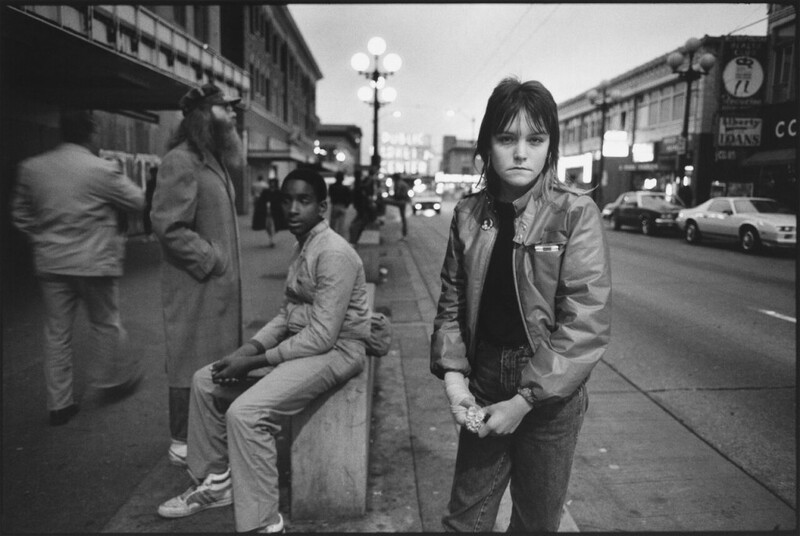 In 1983, Mary Ellen Mark and reporter Cheryl McCall published an article in Lifemagazine on runaway children in Seattle. They chose Seattle, “because,” wrote Mark, “it is known as ‘America’s most livable city.’ Los Angeles, San Francisco, and New Yorkwere well-known for their street kids. By choosing America’s ideal city we were making the point, if street kids exist in a city like Seattle, then they can be found everywhere in America, and we are therefore facing a major problem of runaways in this country.” Later that year, Mark and McCall produced the Academy Award-nominated documentary film Streetwise with Mark’s husband, director Martin Bell. Looking for Home: A Yearlong Focus on Mary Ellen Mark spans a year of programming, from grand opening of the museum, the quarterly exhibition of Tiny’s life, and a range of related programming including screenings of Mary Ellen Markand Martin Bell’s documentary films Streetwise and Tiny: The Life of Erin Blackwell; a public dialogue series; free public learning resources developed to raise awareness of and sensitivity to circumstances surrounding homelessness; a paid docent program for Stewpot clients; and three art exhibitions of works by youth participating in The Stewpot’s Children, Youth and Family programs and adults participating in The Stewpot’s Art Program.